Comments: *ALL REBATES to Dealership including Ford Delivery Allowance and Ford Technology Bonus. ANY Added Accessories and GST are EXTRA. Spring into Savings Event End April 30, 2019 while supplies last. This vehicle takes charge of the roadway while maintaining first-rate quality and style! Top features include heated front seats, a leather steering wheel, rear wipers, and cruise control. It features a front-wheel-drive platform, an automatic transmission, and an efficient 3 cylinder engine. * While every reasonable effort is made to ensure the accuracy of this information, we are not responsible for any errors or omissions contained on these pages. 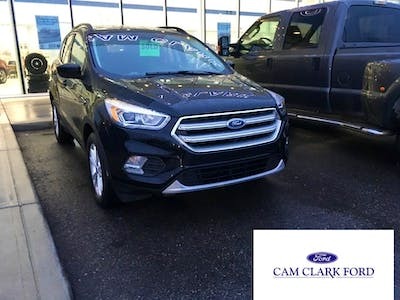 Please verify any information in question with Cam Clark Ford Calgary/Airdrie. I was stressing over the upcoming snow and had the best experience getting in to my New Ford Escape with the winter package just in time. No more sleepless nights!! Thanks Ed Wan and Brittney Horvath!! I was not in a place to buy a vehicle right now, but after an unfortunate accident I wasn’t left with much choice. They helped me find something that was in my price range and worked great with my budget. I was impressed with the overall buying experience. No high pressure sales which was refreshing and earned them my purchase. All my questions were answered in a very timely manner. Christine Simmons was very friendly and easy to talk to. She answered all of our questions, with no sales pressure. Theresa Kelman was wonderful as well. She made the financing part easy and stress free. 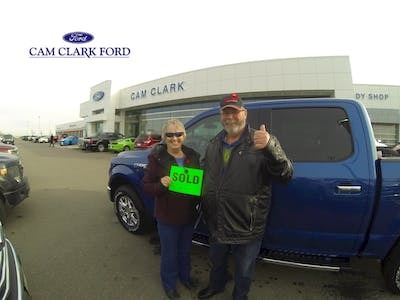 We will be recommending Cam Clark Ford in Airdrie to our friends and family!!! I just purchased a 2017 Ford Escape and am very pleased so far. 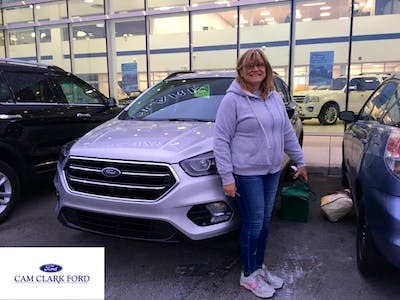 Ed was my sales rep and this is the first time I have ever purchased a vehicle where so many details about the car, service plan and so on were explained to me so well. I wanted a safe car to drive the highway every day, that was efficient and comfortable to drive. So far so good. Very happy. Ron Down was a low key, no pressure salesman. He met all my needs in a fast professional way. I would highly recommend Ron and this dealership. Just got a new to me truck today from Jim Scott and couldn't be happier. Jim was extremely helpful and no pressure what so ever. He is not the typical sales man and I recommend going to see him if your interested in a new or used Ford. Fantastic experience at the best dealership in Canada. Everyone made me feel welcome and the overall visit exceeded any other car purchase I've made in the 30 years of purchasing vehicles. Special thank you to Natalie and the entire staff. Great team, great leadership. 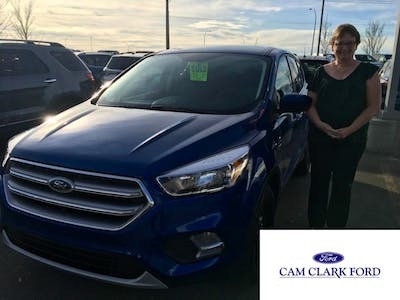 Can't wait to get my next car at Cam Clark Ford Ltd.
BEST customer service experience EVER! Staff went above and beyond expectations. Exceptional dealership and am thrilled with my new purchase. Truly a leader nation wide. Will highly recommend dealership to everyone!! !